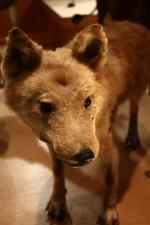 HABITAT The Alexander Archipelago wolf, also known as the Canis lupus ligoni, is found in coastal southeast Alaska. A large portion of them reside within Alaska's Tongass National Forest. They can be found on the mainland from Dixon Entrance to Yakutat Bay, and on all the major islands in the Alexander Archipelago except Admiralty, Baranof and Chichagof. These islands are but the tops of submerged coastal mountains having steep rugged shorelines. They are densely forested and have an abundance of wildlife. Many of the wolves travel freely between islands, and their ranges may shift significantly over time. This makes it difficult to accurately keep track of their population. 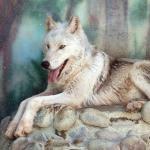 This subspecies of wolf is relatively isolated from other wolves by mountains and water barriers. These "island wolves" are small wolves with short hair which is usually either black or another rather dark color. They average about 3 1/2 feet long, 2 feet high, weighing 30 to 50 pounds. 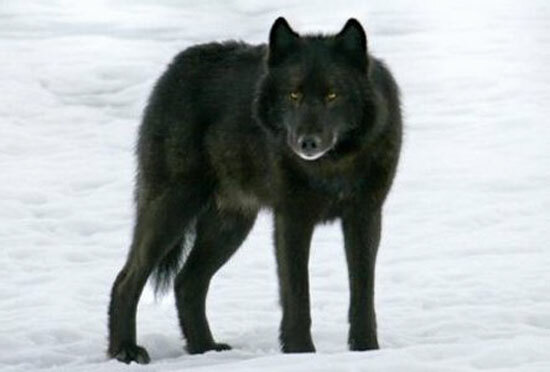 Taxonomist Goldman described the Alexander Archipelago wolf as being smaller and having shorter, coarser, and darker hair than wolves in the northern and interior areas of Alaska. 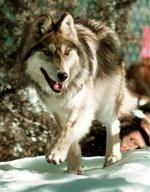 Alexander Archipelago wolves feed primarily on Sitka black-tailed deer. They will also prey on moose, beaver, mustelids, other small mammals, and birds. Researchers have learned in recent years that some wolf packs also spend a surprising amount of time feeding on salmon. In southeast Alaska, pups are usually born during the last 2 weeks of April. Dens are usually built 4 to 5 weeks prior to the birth, between the roots of trees, in small caves or crevices in rocks, abandoned beaver lodges, or expanded mammal burrows. Wolves in Alaska have been under attack since the 1940s. A federal poisoning and aerial shooting campaign began following World War II. By the mid-1950s the government had greatly reduced wolf numbers in much of south central and interior Alaska. While poisoning was banned after statehood in 1959, aerial shooting and bounty payments continued through the 1960s. 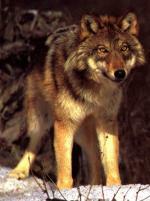 After the passage of the Federal Airborne Hunting Act in 1972 and the termination of the bounty, wolf numbers increased. By the mid-1970s hunters demanded state-sponsored wolf control and the Alaska Department of Fish and Game responded with helicopter shooting programs. Considerable public opposition stopped these state-sponsored programs, but land-and-shoot hunting of wolves by private hunters continued through the 1980s into the early 1990s.